Tap Logo to zoom and remove bezel. Tap 9 area to park hands and clear LCD display. Tap LCD display to cycle Functions. In Chrono mode tap between 7 and 8 area to start/stop and 4 and 5 to reset. 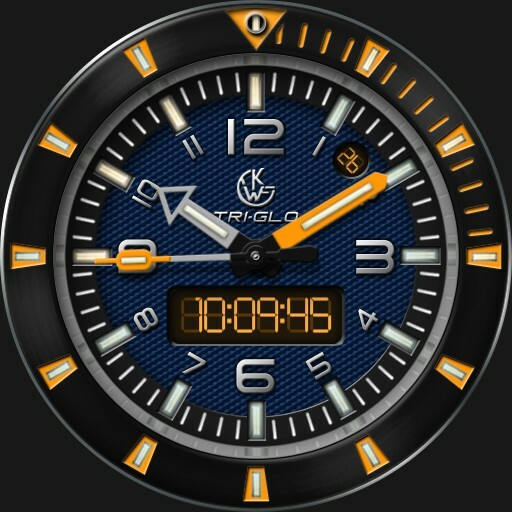 Tap between 10 and 11 area to rotate/reset bezel. Tap between 1 and 2 to change text and accent color via UColor next. Tap between 7 and 8 area to cycle Lume colors, Blue or Green. Tap between 4 and 5 area to cycle dim modes, On Normal, Always On, Auto Always On or Off.